Infinite gratitude to all who connected with us during the global mass meditations last SUNday! Gatekeepers focused on the crystalline DNA distribution and rainbow bridges to New Earth. After some afternoon gridding on the mountain, it was time for our final meditation. During the 5:11pm connection, a beautiful rainbow bridge appeared up top on Mount Shasta and stayed there for 2 hours. The energies were powerful and flashes through the Solar gates occurred (you may have seen or felt this during the meditation). Rainbow blessings to our dear SUNday Unity Meditators for holding this space for global peace and Ascension every week. The latest energetic shift is a strong one. The drop-off of energetic support for negative realities at the end of September opens us to the higher frequency force of the Christed timelines, New Earth and higher positive trajectories. Restoration of Divine HUman crystalline DNA, which has already begun, requires magnetic shifts in Gaia’s grids, including the HUman heart grid. Geomagnetic storms help accomplish this, when solar plasma is delivered via solar winds. It flows easily through Gaia’s diminished magnetic shields, into the planet and our heart centers. An activated heart opens just like a solar gateway, allowing DNA to be delivered and activated with these influxes. It literally delivers codes and bilocates DNA into your body, torus fields and Ascension column. Our next influx is October 13 -16. Last weekend’s storms prepared us for this influx. I AM getting beamed just writing this; those dates will not leave my consciousness. Let us unify and focus on the pure heart-SUN connection, DNA reconnection and opening the bridges to the New Earth realms for all willing hearts. Welcome forth the Solar flashing activity, already in progress and quickening, for your personal journey if you desire the heart-blasting, consciousness-shifting codes. October’s strong energies are connected to the gate at the end of November; that sense of a collective shift point is upon us once more. Step by step, gate by gate, the realities divide to honor collective intentions. You may have noticed the time-stop moments since the New Moon. Again, the Primary timelines don’t feel like timelines, more like a realm of pure beingness; the New Earth. This passage through January will feel surreal and expanded, or chaotic and scattered, depending up on your focus. Best advice: Timelines, realities and experiences rely on your frequency match, the vibration of your thoughts, words, deeds, feelings. View the shifts as positive and offer higher solutions (even to yourself), rather than lower-level judgment of change. The planetary shifts are unavoidable, however your experience is malleable. Clearing is clearing, completion is completion. End times are a very good thing, they provide the changes we collectively desire. Focus on the unification of positive consciousness, rather than the division and dissolvement of the negative polarity. As always, don’t watch the old realities burn, create the new. Higher vibrations have more influence; use it to create the new with as much ease and grace as possible. Crystalline *rainbow bridge* DNA, encoded to make your body and consciousness the bridge to New Earth, has been received by many willing hearts. It has clearing effects, just like any DNA activation, so reset with self-care, rest, and hydrate if you get ill. Note the effect on your consciousness and heart, rather than fret the physical challenges. We were told that embodiment of the Christ – the crystalline DNA , Christed (Diamond-Solar) Heart center, and unity consciousness – changes everything for the Ascending collective realities. Embodiment affects the light quotient of the planet, and her grids shift to the higher dimensional crystalline grid as the lower realities dissipate. Similar to how our torus fields expand to merge with the 5D level of Self and beyond. Embodiment opens the external and internal stargates for the return of the Christ/Crystalline/unity consciousness. This is happening now, and the next few months will increase the experience of unity consciousness. Our services, skills, bodies and consciousness are affected by this Divine DNA. It creates the bridge between worlds, which is a marvel to experience while in form. It also prepares us to call in stronger Solar flashing activity, which is not an escape, it is a global activation of higher consciousness. This flashing activity is witnessed in meditation, or while connecting with the cosmic self and Solaris out in nature. As our multidimensional selves reunify and provide conscious awareness of the vastness of Source-as-Self, the vibration of our bodies, fields and DNA allow for Divine self-realization. Embodiment feels Avatar-like as the Higher Selves ascend the Lower Self consciousness. When we surrender to this Divine Presence of Self, it rewrites our consciousness via Divine crystalline *rainbow bridge* DNA. It changes the way we feel, think, act, love, express and create. We become the bridge to the new reality not only by embodying this DNA and its pure light frequency, but also by demonstrating its effects. Embodiment can often feel like out-of-embodiment as the Divine DNA returns and reconnects. Our Higher Selves operate on a much higher level of frequency. Unity consciousness is a very different experience. Beyond bliss and unconditional love, it reunifies us with the Cosmic Self, right through the heart center serving as a SUN of God. While our focus is on transforming consciousness, the embodiment phase has obvious effects on our bodies. Physical symptom mentions are never to be taken as medical advice. We are all unique. Photonic light reveals distortion as well as activation, so pay attention to what your body is revealing for you. To my heart, the grandest experience is becoming a SUN; the experience of pure unconditional love and unity consciousness returning to my awareness. However we are ascending through the body, with the body, in order to transform collective realities. So we need to take care of ourselves, reassure those beginning to experience the unusual, and share the journey as this unfolds. Crystalline Rainbow Bridge DNA. You may see it in visions, it may express as strands or geometries. Unmistakable pastel-rainbow colors that vibrate very intensely with diamond, crystalline, pearlescent, gold light. 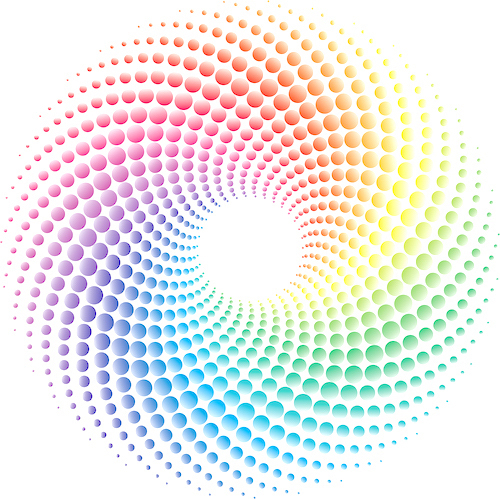 You may see fields of magenta, emerald, gold, diamond, pearlescent, aqua or pastel colors as the third eye adjusts to the new DNA. This is spreading now through quantum effect through the awakened HUman heart grid. A new round of Brain pathway activation and rewiring. Cranial expansion has its benefits. Crystalline structures in the bones assist in activating the skull to support brain rewiring. Multidimensionality as a conscious aware state means we suddenly have access to a lot of information. The light and DNA triggers new pathways in the brain to support complexity. The pituitary-pineal complex also expands. Headaches and neck aches are widespread. Meditation assists to calm the mental stimulation. Tones growing in intensity and pitch. Ascension tinnitus, hearing the higher frequencies, is (much) louder, constant and higher pitched. My tones can wake me up in the night, they get so laughably loud. Two factors contribute to this. The vagus nerve, largest in the body, connects the cranium and abdomen. Our nervous systems receive activations easily. The vagus nerve wraps behind your ears, causing the *attention signals* and music of the spheres/angelic choir sounds we hear during Ascension. Secondly, the tiniest bones in the body are inside the ear, which speak to the brain. Crystalline activation in the bones makes us vibrate like crystals, the tiniest being the most susceptible, adding to the complex tones and symphonies of light. Tones are varied in purpose; activity within Gaia, your own Lightbody or DNA, the SUN, magnetics, lightships or star family nearby, cosmic stargate activity; it depends on the moment. Crystalline or beaming skin. This has been fun over the years, watching our skin get glittery. Crystalline particles vibrate themselves out through the skin, just like crystals vibrate themselves out of the Earth. With embodiment, light may suddenly radiate out of the skin, hands, heart and eyes; more beam-like than aura-glow. Alignment with the organic Primary timelines of Ascension. The great unknown, which doesn’t feel like a timeline at all. You feel and experience the division of worlds in your own lifestream. Consistent alignment and intent required. Releasing the bonds of gravity and time. We experience less gravity or gravity anomalies. Consistent lifting, expanding, floating sensations. We are releasing the bonds of dense time dynamics, created by gravity, and it affects our physical experience by feeling floaty, swirly, dizzy. We are overriding gravity (time) dynamics as we release the grip of duality/density. Long moments when time stands still. Ascension Column/Unified Chakras across dimensions. Our heart centers become Crystalline-Solar, they attract and radiate those forces of light and energy through our torus fields. This unifies 33 chakra points across multidimensional expressions of Self via the Ascension column. Gone are the days of 7 chakras or dense colors; a fine system for 3D, but no longer applicable as a rule. Deep understanding of everything as part of the whole, and honoring of the purification cycle. Oneness with Source, as Source. The experience of Krishna, Christed or I AM state of consciousness. Merging with all that is; the immortal feeling state of Divine Love. Intensifies with crystalline DNA embodiment and Solar heart center expansion. Tools of Christed Mastery present. Often in vision with initiate-style ceremony. These feel overwhelmingly powerful, radiate pure Love, and will bring tears to your eyes when they present. Unmistakable. Typically ornate objects in diamond, crystalline, gold, white, rainbow-pearlescent colors. The Christed kit includes: Multiple crowns, scepter or wand, orbs or crystal spheres, rainbow-pearlescent wings, Sacred Solar Heart or SUN symbols, crystalline rainbow DNA. Crowns may be delivered by doves or angelics, and over the years have been anything from white feathers to gold to diamond light. Experiencing Source thought as your thought, and vice versa, without toggling between the two. An unmistakable step in our Ascension process. Blissy and profound, a pure doubtless experience of being and witnessing the Self as Source, simultaneously. No separation. Divine Neutrality. The perspective of patience as generosity. Immortal, limitless time for all of this to unfold for HUmanity. Service to the Ascension, no matter how long it takes in linear density, is the mission. Take note: Divine Neutrality actually accelerates the collective process. Divine Service. Prioritizing highest interests and Unity Consciousness. Heart-brain is louder than mind-brain. Source-Love is the dominant Presence. Feeling and listening to the heart, rather than the mind or emotional levels. This affects our communication, thoughts, activities, DNA recalibration, higher skill activation, creative expressions … everything. Becoming a Pure conduit for positive photons: LoveLight rays flow through your heart and fields, consistently. The Higher levels beam people, Gaia, Gateways, Grids, anything … right through us. May cause anxiety when your fields or heart suddenly expand. Breathe, it’s just expansion, parent the body through it. Unwavering Mastery Skills: Forgiveness, Gratitude, Divine Neutrality, Surrender, Unconditional Love, Faith, Devotion, Patience, Non-judgment, Healing, Harmony and Divine Service become ever-present and self-evident. Acceleration in telepathic communication, interdimensional contact, and higher dimensional creation. The Ascending collective feels, hears, speaks to the interconnected heart grid. Contact is purifying and increasing. Crystals are changing as vehicles of this higher light and information; get them outside to reset and assist with higher creations. For the mental and emotional levels; Align thought, feeling, word and deed with Peace, Unity and Divine Love. Keep it simple and creative. Journal for clarity. Mantras calm the mind. Get outside. Meditate. Learn something new to assist the brain rewiring for creativity. For the body: Hydration, fresh air, natural bodies of water, SUNshine help with this organic process of Ascension. Earthing while circulating your torus fields allows balance in the cellular structure, DNA and lightbody. Connect as a conduit of the SUN and Gaia often; the codes are very stimulating to crystalline DNA. Physical crystals are amplifying (especially quartz) and may assist with integration. Get to a proper healer or prioritize health if your body hurts. When influxes get strong, we need to eat high-vibe, hydrate, stretch and flow the meridians, indulge in self-care, meditate and rest when we are tired. Take note of dietary shifts and behavioral changes needed to keep up with the acceleration. Gatekeepers, Gridworkers, Lightworkers in service: Let us unify for this next opportunity, October 13-16. Highest trajectories, in this Now. All are invited to join the Light Tribe for the SUNday Unity meditations, and spread the word! More Hearts, more Light, more Love. Let us show HUmanity what is possible with Ascension!